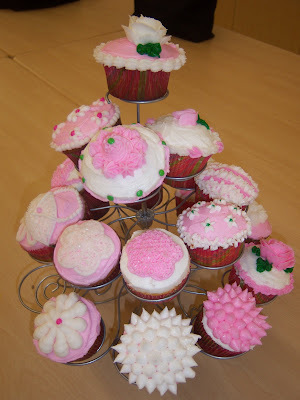 After class today I did a demo of cupcakes using the tips and techniques taught in Course 1 - how cute are these? A lady who came by the demo said these were "very Martha Stewart" - I'll take that as a compliment! 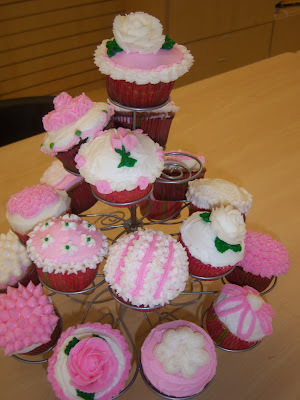 Those cupcakes are amazing! Nice! !